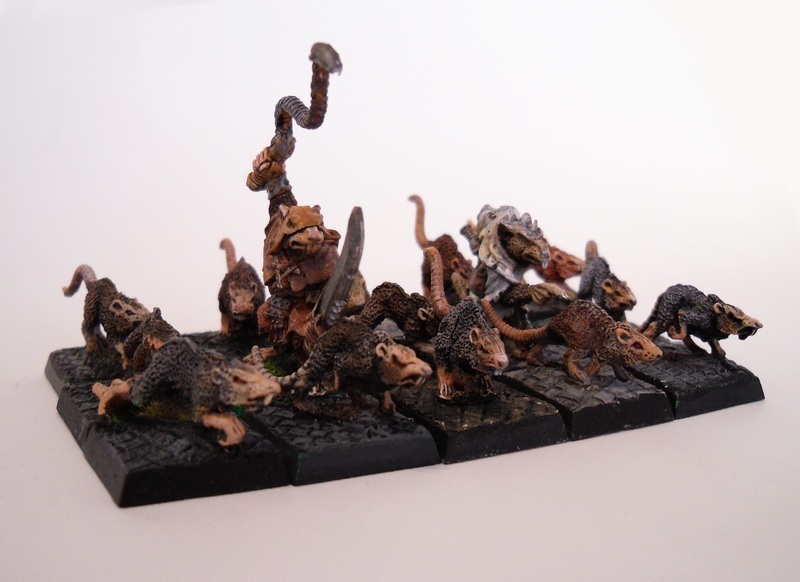 The old metal giant rats with two metal pack masters. Single giant rats. It seems to me that these are all types of the original metal giant rats. Two of the newer plastic giant rats and two of the Necromunda giant rats with cool pox marks and two tails. Skweel Gnawtooth model released 2010 with the third version of the Skaven army book. Again many small cute rats all over the place.